The Divine Mercy Novena begins Good Friday, April 3, at 3 p.m. in the church and continues through Saturday, April 11. 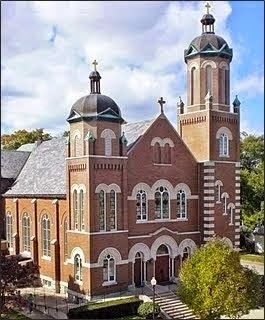 At noon on Sunday, April 12, parishioners will carpool to St. Anthony's in South Bend for Mercy Sunday Mass. A plenary indulgence can be received to those who make their Easter confession, pray for the Holy Father's intention, and receive Holy Communion on Mercy Sunday. Novena chaplet prayers are other information are available on the table in the back of church.